The Russian top diplomat pointed out that any interference in Church affairs is banned in Ukraine, in Russia, and in any other "normal state"
MOSCOW, October 12. /TASS/. Ecumenical Patriarch Bartholomew of Constantinople is plotting a provocation against the Ukrainian Orthodox Church with direct support from Washington, Russian Foreign Minister Sergei Lavrov said in an interview with the RT France, Paris Match and Le Figaro. The Russian Foreign Ministry posted excerpts from Lavrov’s interview on its site on Friday. "The Ukrainian Patriarchate has not turned its back on the Russian Orthodox Church, as the Ukrainian Orthodox Church of the Moscow Patriarchate speaks out against those provocations which Patriarch Bartholomew of Constantinople is staging now, while being directly and publicly backed by Washington," Lavrov said. "The provocation was conceived to employ two uncanonical, schismatic churches in Ukraine (the Ukrainian Church of Kiev Patriarchate and the Ukrainian Autocephalous Church) which have been recognized by none of the local Orthodox Churches. However, in the interests of this provocation, by convening a Synod meeting [of the Ecumenical Church] of Constantinople in recent days, Patriarch Bartholomew recognized them as canonical and lifted anathema from the two hierarchs heading those schismatic churches." The Russian top diplomat pointed out that any interference in Church affairs is banned in Ukraine, in Russia, and in any other normal state. "Now that a US special representative for religion directly hails Patriarch Bartholomew’s decision, that [US Representative for Ukraine Kurt] Volker, who is tasked on behalf of the United States to facilitate a solution to the Ukraine crisis basing on the Minsk accords, says what he says about those processes, there is a saying ‘guilty conscience needs no accuser’," he stressed. "The individuals, who are unable to confront us with a single fact proving their unfounded accusations of our meddling into some domestic affairs, are acting as if it is a norm," Lavrov said. 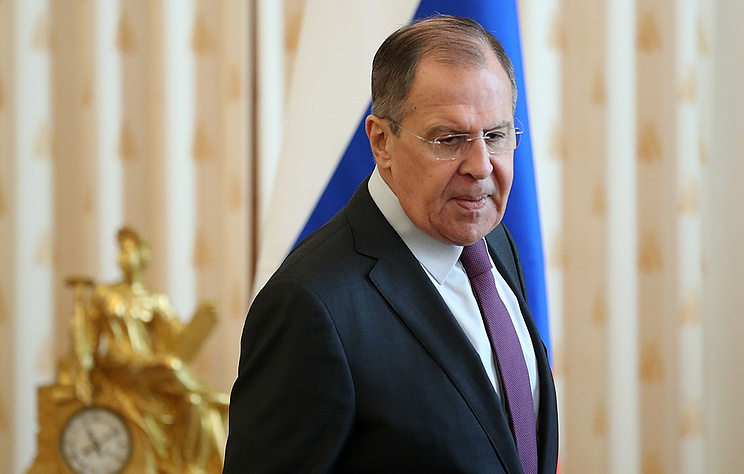 "I am very hopeful that those utterly negative processes substituting the ethics of dialogue, negotiations and the culture of diplomacy with uncivilized diktat and rough blackmail will remain out of sight of those who will organize the Paris Peace Forum," Lavrov concluded. On Thursday, a Synod meeting of the Ecumenical Patriarchate of Constantinople decided to "proceed to the granting of Autocephaly to the Church of Ukraine." The Synod revoked a legally mandatory status of the 1686 letter, which empowered the Patriarch of Moscow to ordain the Metropolitan of Kiev. In addition, the Synod decided to re-establish the office of the Stavropegion of the Ecumenical Patriarch in Kiev, which means its head would be subordinate directly to the Ecumenical Patriarch of Constantinople. Moreover, the Synod lifted anathema from the heads of two uncanonical churches in Ukraine - Filaret of the Kiev Patriarchate, and Makary of the Ukrainian Autocephalous Church. In 1686, Ecumenical Patriarch Dionysius IV of Constantinople gave consent to the transfer of the Kiev Metropolia under the Moscow Patriarchate’s jurisdiction. 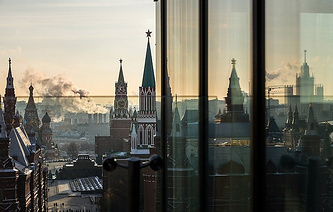 The Russian Orthodox Church and other local Orthodox Churches view these decisions as hostile and illegitimate and warn they might trigger a split within the Eastern Orthodox Church.